In the years surrounding World War II, a gritty Italian-American waterfront community in the shadow of New York City known as Narrows Gate is home to brutal wise guys, a gifted crooner hell bent on success and two young friends who have no idea what the future holds -- or how it can rip them apart. 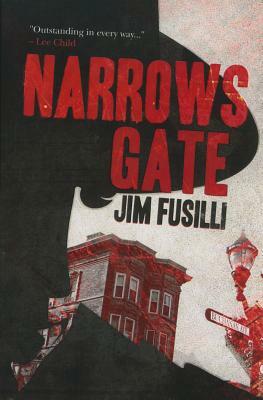 Vivid characters driven by demons and desire clash with gut-wrenching force in Jim Fusilli's violent, visceral novel as crime, rank ambition and the promise of the American dream battle for the souls of Bebe Marsala, the talented but compromised crooner; the happy-go-lucky Sal Benno, who is trapped by the mob; and Leo Bell, a newly minted member of the Office of Strategic Services, the predecessor of the CIA. A powerful epic in the spirit of such groundbreaking works as Mario Puzo's The Godfather and Budd Schulberg's On the Waterfront, Fusilli's saga races to Hollywood, Havana, Las Vegas and the battlefields of Sicily before it explodes in an unexpected and unforgettable conclusion.